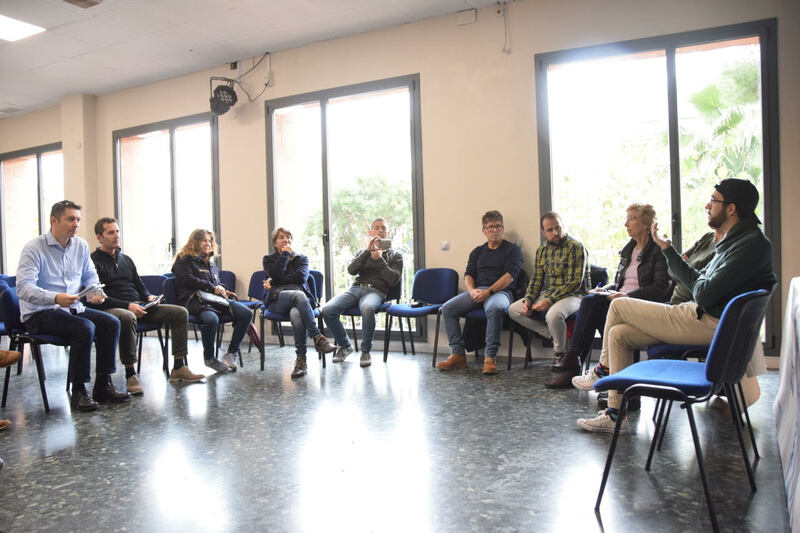 Sitges GI collected the first concerns and worries of the inhabitants of Sitges at the round table ´Sitges now and the Sitges we want’ which took place last Sunday, in the Sala Jofre Vila Casino Prado Suburense. The cleaning of the town was one of the most criticized topics in the meeting, where the feeling of neglect was revealed which the population has, by the council and the need to increase the number of containers and bins in the streets, be stricter in giving fines when infringements take place and provide more facilities with regard to the recycling and separation of waste. The cleanliness and state of the beaches was also an aspect that, according to attendees, has worsened in recent years. Attendees commented on the need to seekleisure alternatives aimed at young people, they have many difficulties finding activities or proposals to spend their free time, especially the group·with a range of age between 15 and 17 years. The lack of pharmacies, and Primary Care Center which open 24 h, bookstores and future plans of the municipality were other issues that were put on the table during the day. With these meetings, Sitges GI wants to know the different points of view of the inhabitants of Sitges, and collect all those aspects that, according to the attendees, have worsened in the municipality in recent years and all those things that need to be improved or on the contrary those that are currently working correctly. David Martinez, President of Sitges GI said it is vital to know all these views toprepare a good project for the future Sitges. A future that will not improve if we do not listen to people who represent: the inhabitants of Sitges. The Sitges now and the Sitges we want’ continue from the second half of January, which will address more specific issues such as trade, tourism and the hotel industry among other things.